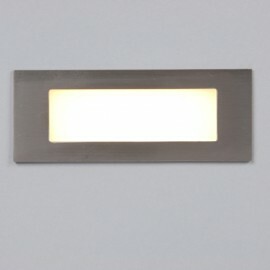 Elegantly designed energy saving small rectangular recessed step light. Design features evenly illuminated silk-screen front glass and stainless steel front bezel. Supplied with snap-fit plastic rear housing for easy installation. Suitable for interior or exterior use Not suitable for dimming.